It’s cheesy, corny and over-the-top, but the fact is, Robin Williams loved The Legend of Zelda enough to name his own daughter after the princess. Zelda Williams joins her father in a series of promotional videos for The Legend of Zelda: Ocarina of Time 3D where they wax nostalgic and speak fondly of their memories saving Hyrule together. The best part of the video is when Mr. Williams—who is sporting a beard that would make Grizzly Adams’ facial hair jealous—suggests other names inspired by video games for his daughter. 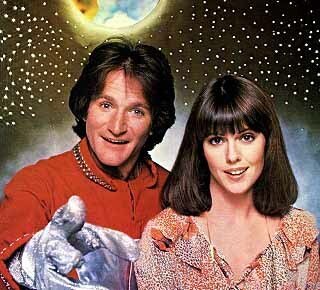 We’re not exactly sure why Nintendo felt that Robin Williams was needed to market a better version of the greatest Zelda game ever, but hey, we love us Mork from Ork.